John Quinn's "Cast in Stone Vases" are functional art that truly functions well. Natural stone is a great visual compliment to blooms and foliage and its weight gives support to the most ambitious of floral displays without risk of tipping over. The vases are watertight (don’t leak) and waterproof (are not damaged by getting wet). Durability is also excellent. While not completely unbreakable, they are considerably less fragile than a ceramic or glass vase and can usually be repaired if dropped and broken. His design, which incorporates elements of stone masonry, mosaic and lapidary, allows for and exploits natural features and variations in stone and minerals. The result is always a unique item that reflects the character of the materials. Looking for something really Saltspring? 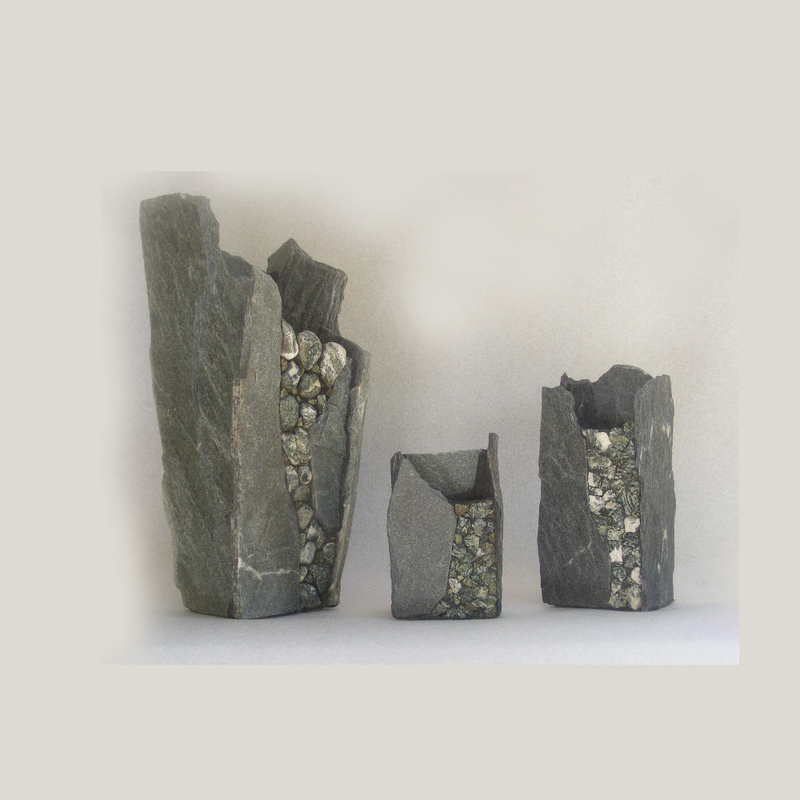 Cast in Stone Vases has vases made with Salt Spring Island Rhodenite and Quartz. Truly "Part of the Rock". Too heavy to carry? John will take care of shipping your selection.